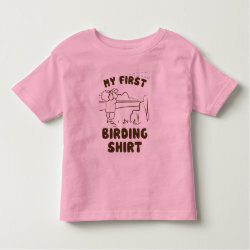 This fun design was made for little birders (or maybe just freshly minted ones?!). 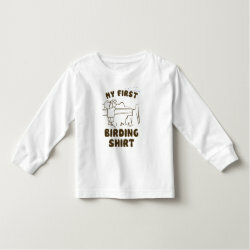 Text reading "My First Birding Shirt" frames a simple line drawing of a child looking above a wilderness horizon through binoculars. 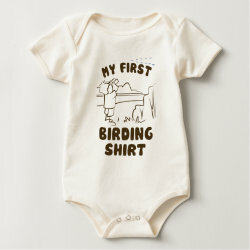 This is a cute gift idea for birdwatcher parents raising their own little birder!